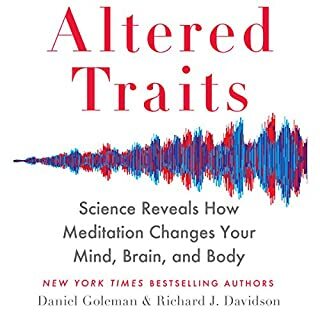 Now, with The Mindful Brain, Dr. Daniel J. Siegel, a pioneer of the emerging field known as interpersonal neurobiology, answers these questions and more in this original adaptation to complement his breakthrough book. New York Times reporter reveals what business leaders around the country are already discovering: Meditation may be the key to fostering a happier, more productive workplace. For the past few years, mindfulness has begun to transform the American workplace. Many of our largest companies, such as General Mills, Ford, Target, and Google, have built extensive programs to foster mindful practices among their workers. 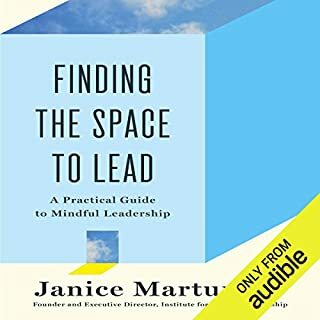 Mindful Work is the first audiobook to explain how all sorts of businesses and any kind of worker can benefit from meditation, yoga, and other mindful techniques. As a business reporter for the New York Times who has also practiced meditation for two decades, David Gelles is uniquely qualified to chart the growing nexus between these two realms. As he proves, mindfulness lowers stress, increases mental focus, and alleviates depression among workers. He also offers real-world examples of how mindfulness has benefited companies that have adopted it--from the millions of dollars Aetna has saved in health-care costs to the ways Patagonia has combined leadership in its market with a pervasively mindful outlook. 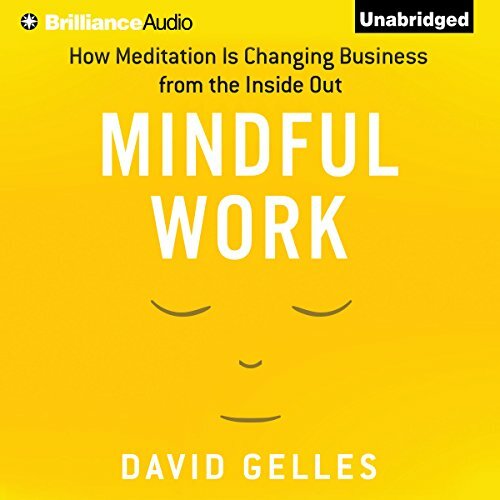 Gelles's revelatory audiobook picks up where best sellers like Thrive and 10% Happier leave off by detailing how mindfulness works in and for the companies that adopt it, revealing the profound impact mindfulness can have on the world of work. 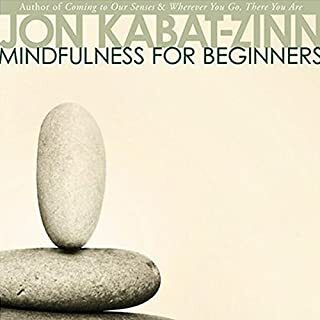 Mindful Work goes beyond other books on the subject by providing evidence for the practical benefits of mindfulness and showing listeners how to become more mindful themselves. ©2015 David Gelles (P)2014 Brilliance Audio, all rights reserved. What did you love best about Mindful Work? I expected book to be a little dry and booring but it was not! I like his no nonsense approach as a reporter. He is an experienced meditator and I found his insights about mindfulness very helpful. 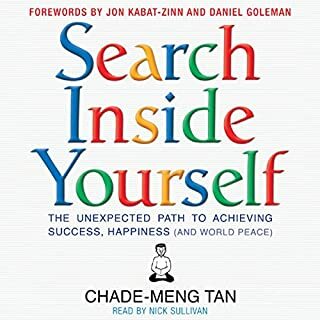 Well written, I felt like I was traveling with him as he visited and interviewed people exploring the world of mindfulness. Fun and worthwhile journey! A good companion to 10% Happier by Dan Harris. 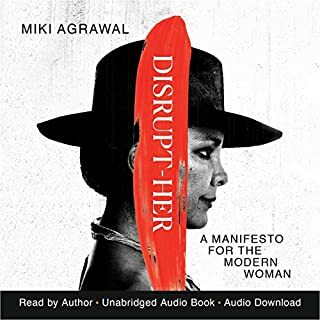 absolutely enjoyed the history, story, business, spiritual, and personal connection of deliberately meditative practices. well written. easy to follow. inspiring personal considerations to begin my on mindful behaviors. 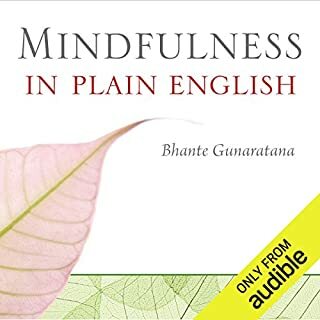 Great insightful overview of Mindfulness. Covered the terrain both from a personal and intellectual perspective. The book is never ideological or prescriptive, rather it is inviting and one feels enlightened. The reader is drawn into the word of mindfulness and emerges well informed, up-to-date and ready to explore practicing.